The bacteria that cause Lyme disease are able to trick an animal’s immune system into not launching a full-blown immune response or developing lasting immunity to the disease, report researchers at the University of California, Davis. 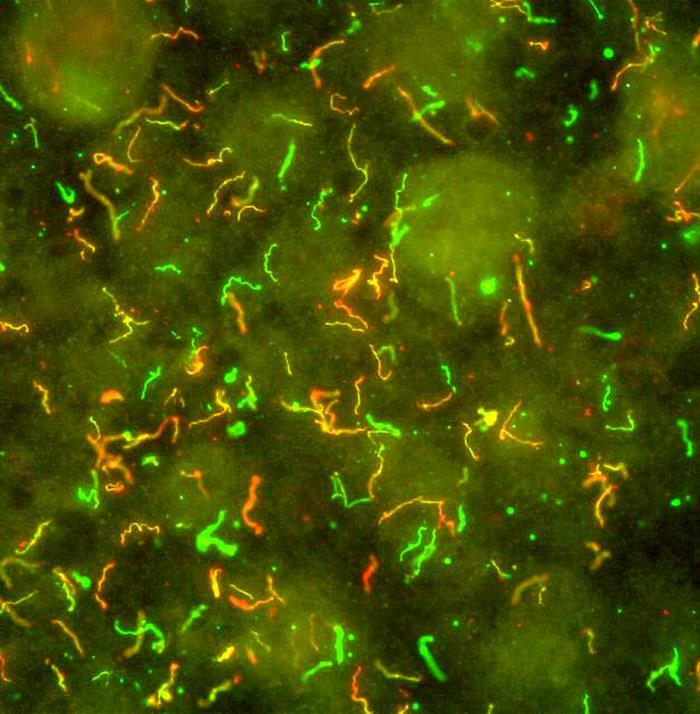 The discovery may explain why some human patients remain vulnerable to repeat infections by the same strain of bacteria, especially in regions where Lyme disease is prevalent. It also suggests that blood tests may not be an effective method for detecting previous exposure to Lyme disease, by far the most common vector-borne disease in the United States and Europe. Findings from this mouse-based study are reported July 2 in the online scientific journal PLOS Pathogens, published by the Public Library of Science. “We demonstrated that an animal infected with Borrelia burgdorferi, the corkscrew-shaped bacteria that cause Lyme disease, launches only a short-lived immune response, and that protective immunity against repeat infections quickly wanes,” said Nicole Baumgarth, a professor in the School of Veterinary Medicine and an authority on immune response to infectious diseases at the UC Davis Center for Comparative Medicine. “This study also suggests a possible mechanism responsible for the disappearance of antibodies following infection and subsequent treatment with antibiotics,” she said. The Borrelia burgdorferi bacteria are transmitted to humans and animals through bites from infected ticks. Symptoms of the disease include fever, headache, fatigue and a characteristic skin rash. If left untreated, the infection can spread to the joints, heart and nervous system. About 300,000 cases of Lyme disease are diagnosed annually in the United States. The bacteria initially trigger a strong immune response in an infected animal, but findings from this study indicate that the bacteria soon cause structural abnormalities in “germinal centers” — sites in lymph nodes and other lymph tissues that are key to producing a long-term protective immune response. For months after infection, those germinal centers fail to produce the specific cells — memory B cells and antibody-producing plasma cells — that are crucial for producing lasting immunity. In effect, the bacteria prevent the animal’s immune system from forming a “memory” of the invading bacteria and launching a protective immune response against future infections. The researchers found that following Borrelia burgdorferi infection, this process even prevented induction of strong immune responses to an influenza infection.